With 2 more Sqns destroyed the day before, the strain on the remaining pilots and Sqn’s was beginning to tell. 266 Sqn were required to step into the breach with increasing regularity. On 25th Aug, 266 Sqn and 3 other Sqns were vectored toward a 150+ enemy force approaching their home airfield of RAF Tangmere. Joining them were 43 Hurricane and 601 Hurricane from the same sector and 152 Spitfire Sqn from Middle Wallop. Sqn Ldr Wilkinson elected to bring along a number of novice pilots and the 3 surviving pilots who had been shot down during the Sqns first encounter hoping that the large number of RAF fighters intercepting the raid would allow his pilots to gain some experience in a safer environment. However as they approached the enemy formation it became evident that the enemy fighter cover was strong. 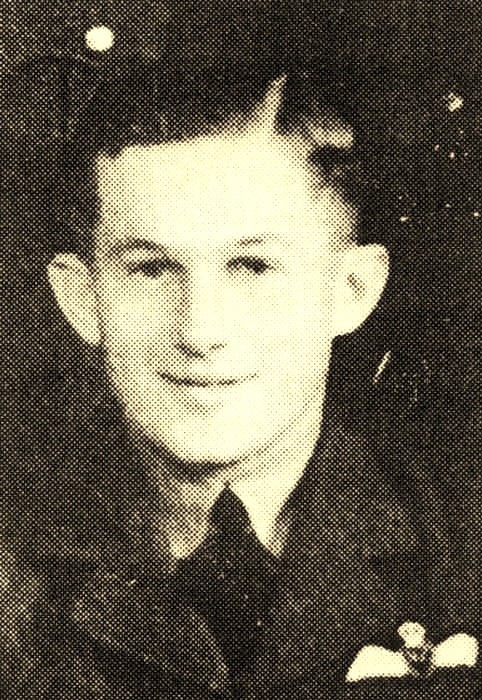 Red 3, Plt Off William “Wiggy” Middleton, a New Zealander from Auckland struck first. Giving the Bf109 a burst from above and behind he saw it spin down and crash in the fields below. Blue 3 Sgt MacGregor and Yellow 3 Sgt Hawley also notched up a 109 each. Breaking through the fighter screen it was onto the bombers. 266 Sqn went after a Gruppe of 25 Ju88’s. Middleton was again on the mark firing a number of bursts into one of the bombers and following it through the cloud before finishing it off with the last of his ammunition. Yellow 3 Sgt Frederick Bernard Hawley a Coventry Grocers assistant by trade also got his second kill when he fired a deflection burst into a Ju88. It half rolled and dived steeply thorough 10000ft with Hawley in hot pursuit. As it began to pull up, Hawley fired again forcing it to dive for safety once more. Following it down to 500ft he fired intermittently until the bomber impacted on the surface. None of the crew managed to bale out. All told the Sqn claimed 10 of the enemy, 3 Bf109’s and 7 Ju88’s. A total of 23 were shot down by all sqns without loss. A shot in the arm for the entire Nation after the disaster of the 22nd Aug when late in the day 2 Sqns were destroyed as the Luftwaffe began to tighten the noose. The overall situation may have looked serious but for now the pilots of 266 Sqn were having a ball. Please email me now, I need to know who you are and how you get your stories? You have written this story about my uncle, who was MIA during the war, never to be found, so to get your story is impossible! Do you not realise by randomly using real life people, you are upsetting those who are their family? Hello Lisa, I assume you are referring to the Battle of Britain pilot with your surname who was posted MIA on 27 Aug 41 (a year after the fictional events I have portrayed). I am sorry if my blog has offended you. It is a fictional account which I had hoped would have been clear to anyone reading it. I do not select any of the pilots names randomly or without due consideration as I am a scholar of the Battle of Britain. Every year I replay the Battle using an old wargame. To give it and my readers a sense of reality and a narrative I try to be as accurate as I can so when I move a cardboard piece to intercept another enemy piece on the board I research the combatants. In this case the Sqn and pilots that were part of it. The CO of your uncle’s Sqn (266) was shot down and killed during the Battle of Britain (10 days before your uncle joined the Sqn) and is the only man from my village to have fought during the campaign so last year (2015) being the 75th anniversary I was trying to keep the memory alive. To that end, I decided to play the campaign in 266 Sqns honour and from their point of view (albeit as a fictional account of what happened) when I re-played the battle. 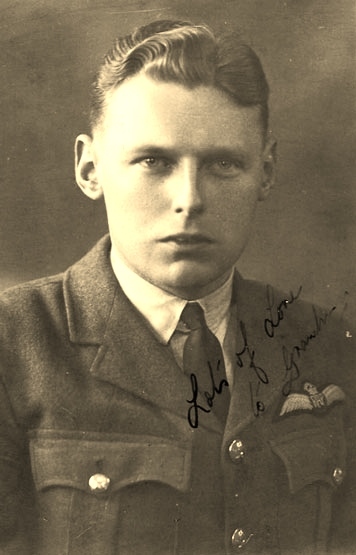 These accounts although fictional are in honour of the brave men from both sides but especially those who flew with the RAF and I have never written anything except heroic deeds of derring-do despite the savage nature of the conflict which is not intentionally meant to glorify war I might add. Eventually, after discussion with my Parish Council I am hoping that by bringing to light a local mans exploits it might eventually lead to a future road being named after our village pilot who made the ultimate sacrifice for freedom. I am sorry again that you have misunderstood the nature of what I was trying to do as I have only had positive feedback but I understand that if you haven’t read the article in its context that you might be upset. Please accept my apologies and assurances that what I have written is not meant to offend.